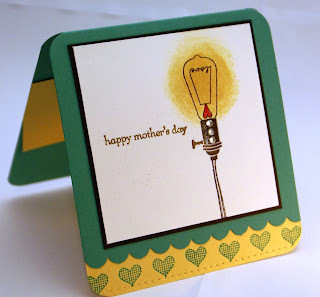 Susan's Saga: Happy Mother's Day, Bright Spark! Happy Mother's Day, Bright Spark! This year I wanted to do a funny card for my mother. 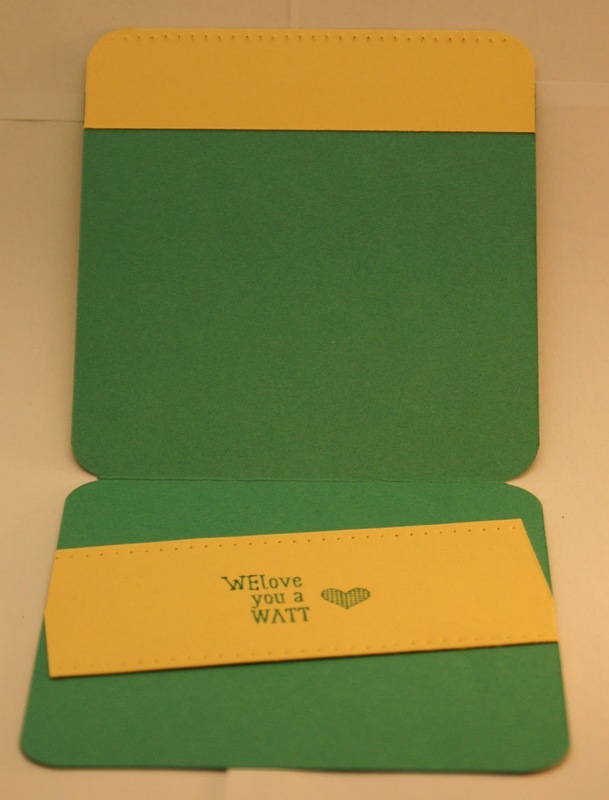 She has a real sense of humour and while she likes heartfelt cards too, she loves to have a laugh. So it was the perfect chance to use a new stamp set that I got from attending the Stampin' Up! Demonstrator's On Stage Live event, called Pun Intended. I made the light behind the street lamp with a sponge and some Daffodil Delight ink. The sentiment from Teeny Tiny Sentiments is embossed in gold and some of the gold embossing powder also adhered to the lamp switch, which was serendipitous! 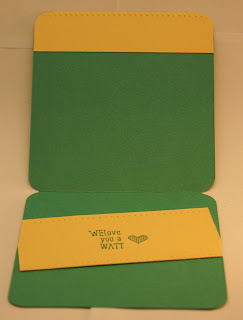 The card base is one of the new in colours for this year, Emerald Envy. I know it made her laugh!